The King of Voiceovers, Joseph Sirola dies at the age of 89. As revealed by The Hollywood Reporter, Joseph Sirola died of complications due to respiratory failure at a rehab hospital in New York City. Sirola had a great career in entertainment, appearing in many films like Strange Bedfellows, Clint Eastwood’s Hang ‘Em High from 1968 and the Greatest Story Ever Told from 1965. He also appeared in The Andy Griffith Show and original Hawaii Five-O and The A-Team. He even appeared on Wonder Woman for a couple of episodes. 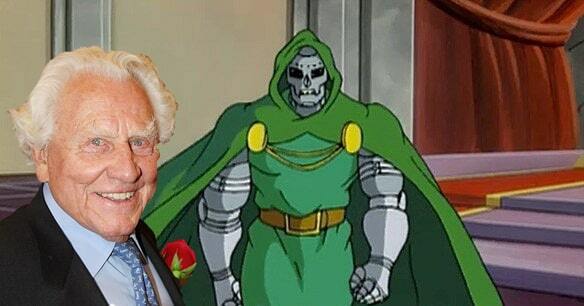 Marvel fans best remember him for his work as Doctor Doom on Fantastic Four cartoon. Sirola also had a successful theatre career. He starred in the 1968 hit Broadway musical Golden Rainbow. He won the Tony Award in 2014 for A Gentleman’s Guide to Love and Murder. Sirola found immense success as the voice behind many commercials. These include Boar’s Head meats, Vicks Formula 44, and NYQuill. He was also the voice behind “I Love New York” campaign during the Empire State Building Tour. He also did voice over work for Wendy’s Mobil, General Electric, Ford and Hertz. He also served as a producer for many other stage productions. Also Read:Is Loki Secretly Controlling Thanos In ‘Avengers: Endgame’? Sirola was born on October 7, 1929 and served in the Korean War. He worked as a sales promotion manager at Kimberly-Clark before going for an acting class at 28. This changed the trajectory of his career. Joseph Sirola is survived by his longtime half Claire Gozzo, one daughter, three granddaughters, a goddaughter, a nephew, and a couple of nieces. May his soul rest in peace!